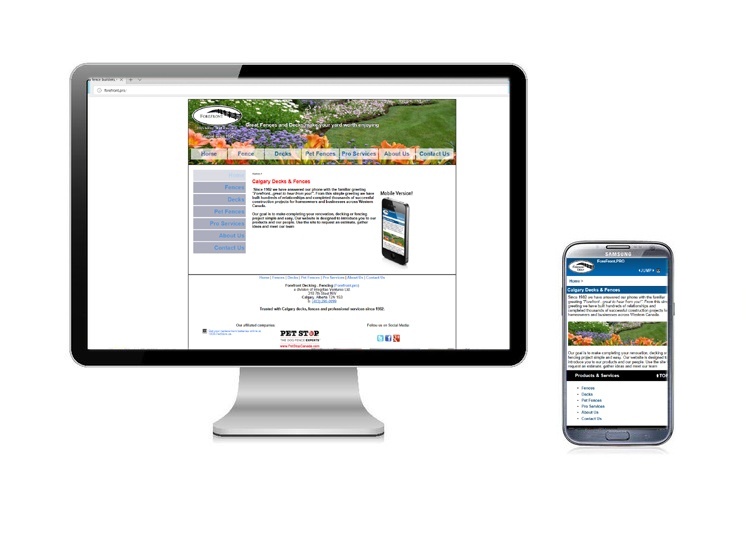 We’ve been building websites (including our own) since 1999, and for local businesses and not-for-profits. We have been through technological evolutions and revolutions: search engines, social media, mobile/smartphones, responsive design, content management, and e-commerce (not in that order). And we’ve been there, DONE that! Typically, we test new technologies and approaches on our own high-traffic websites, and don’t just “drink the Kool-aid.” You consistently get VERY experienced help & insights with both the technologies and the marketing approaches. We are strong practitioners of the Pareto Principle: that you can get 80% of the features, functionality (and traffic) for 20% of the cost. If done right. Re-invest wisely, and do another round in a year or two. You’ll end up FAR AHEAD of your competitors! If you are looking for Calgary’s most experienced website developers, we have been doing just that since 1999. In other words, ALL OF THIS CENTURY! Longer than some of our youngest competitors may have even been alive. We do most of our week for businesses and community groups in Calgary, but we’ve worked with clients in Edmonton, Toronto, Ottawa, round the Rockies. Our developers have been designing and building website since 1995. We’ve done websites in HTML, we’ve created mobile-friendly websites, we’ve developed responsive websites, we have worked with WordPress, we’ve worked with WIX. We have worked with several e-commerce platforms, including Volusion, BigCommerce, Shopify, Woocommerce, and even some scratch-coded solutions. We’ve worked with payment gateways like Moneris, Authorize.net, and PayPal. We have developed sites in size ranging from ONE PAGE up to 100,000 pages. We have been doing web marketing since the days when Yahoo and AltaVista were the only search engines… We’ve been watching the evolution of stronger search tools like Google and Bing, and voice search tools like Siri, Google, and Alexa. we’ve developed a number of mapping tools and approaches. We have worked with and integrated with Social Media almost from the get-go, before they were called “Social Media”. We test them on ourselves, and testing methods and approaches, before recommending the to clients. We laugh when we see consultant who clearly have “drunk the Kool-Aid” and are spinning yarns about “instant” success and foisting vastly overstated expectations from using these tools. We’ve created databases for the web including tools/environments like Apple FileMaker, Microsoft Access (and yes, even Excel), Oracle, My-SQL, and Microsoft SQL. Our President is well known for his photography, which is used on the FoundLocally.com, TransCanadaHighway.com and on quite a few client websites.